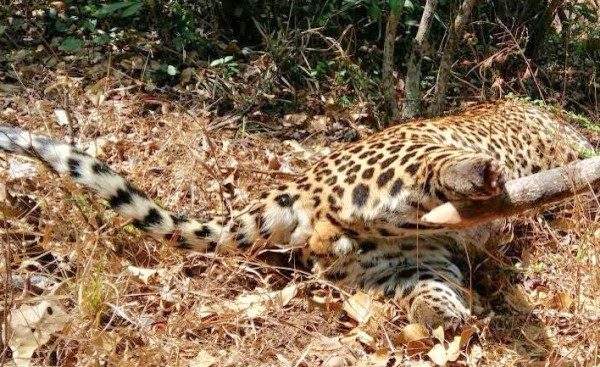 A dead leopard was found by the forest officials near Kiravalli Mutt, in Khanapur Taulka on Sunday under the Londa Forest Range. Forest officials said the incident might have occurred last week but they were made aware of it only on Sunday. The poachers removed 9 teeth and 4 paws of the animal and also a bullet wound was visible. This could be an act of some professional poachers. The forest officials suspect the role of some poachers active in Bhimgad forests from Haryana. DCF Patil however said that the cause of death of the animal can only be told after the postmortem is done on the carcass; death might be due to old age as well.